I have created this content in case of some future improvement of E+. 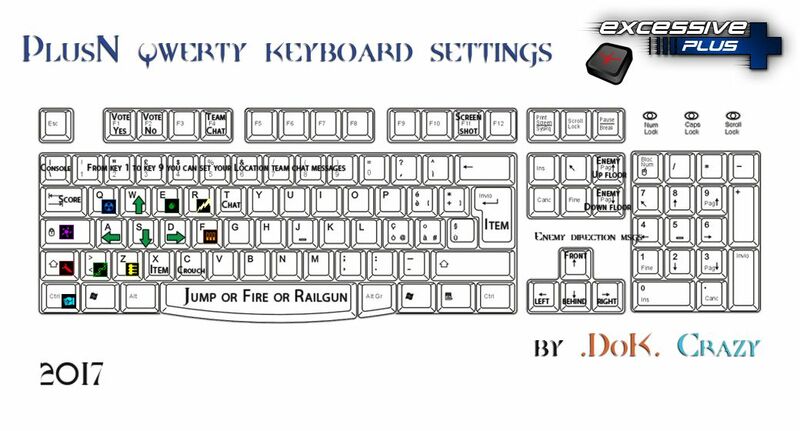 This is a QWERTY Keyboard + Mouse layout sample to give an idea of how you can set all weapons and start your approach to plusN advanced skill config. You will slowly be able to control 9 weapons if you hold on playing and practicing. 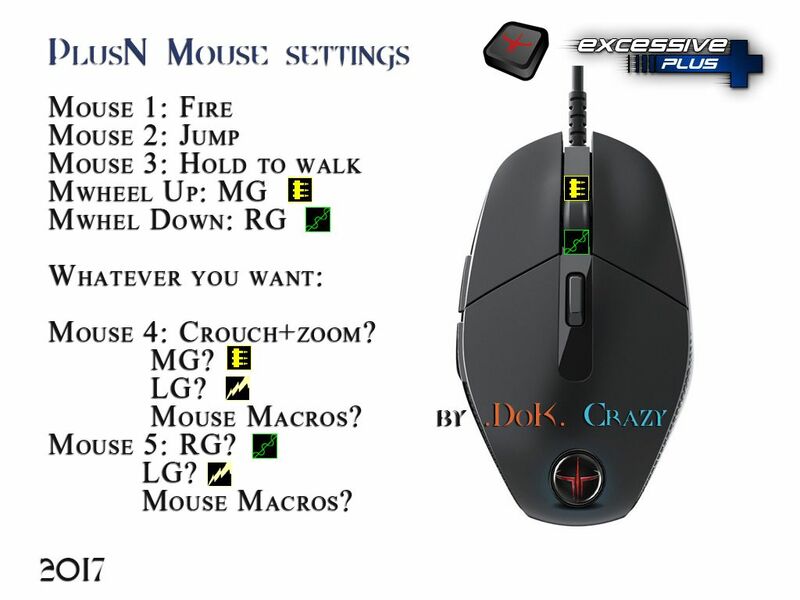 Here are two pics of a QWERTY keyboard and a random gaming mouse. Which are these 9 weapons? As I said many times on BEER.FREEZER here we all like this mod, but year by year things became weird so that now we are "4 cats" surviving active. The worst thing I've observed in all those years is how this powerful "engine" is so badly neglected.We all complain me included, but we should move to solve the problems, find the ways but fix things.